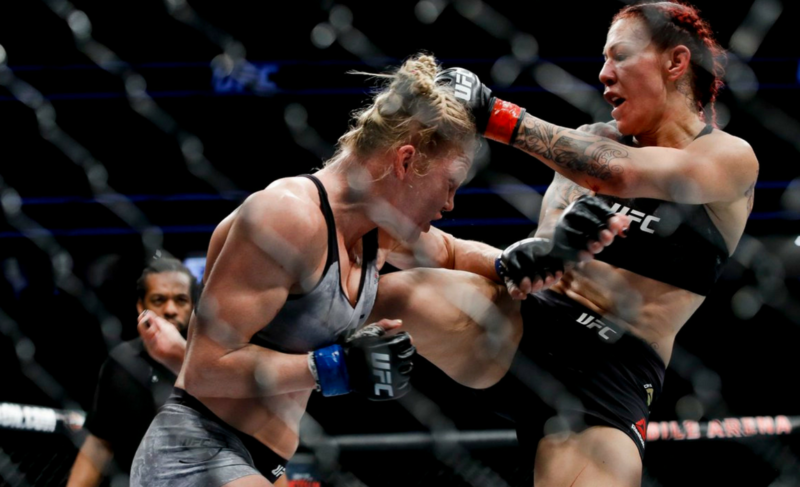 If her career was an amusement park attraction, riders would be suing Holly Holm for whiplash. She’s the Vanilla Ice of MMA, except she could whoop Suge Knight in a fight. You wouldn’t think a title challenger would be fighting for relevance, but that’s exactly the position Holm finds herself in. When Holm was first announced as Ronda Rousey’s next challenger, few people gave her a chance. Casual fans (many of whom Rousey attracted to the sport) had a litany of “evidence” in her favor. She was undefeated at 12-0 and finished all but one of those fights in the first round. Her opponents looked pathetically outmatched, flailing desperately before Rousey took them down and pounded them out. On the flip side, Holm had only beaten Raquel Pennington and Marion Reneau by decision. But a small minority of educated fans recognized Holm as the most dangerous challenger Rousey would face. If WMMA suffers from depth issues now, it was downright laughable in Rousey’s heyday. Other than Tate, Rousey’s opponents were all journeywomen with rudimentary striking and grappling. 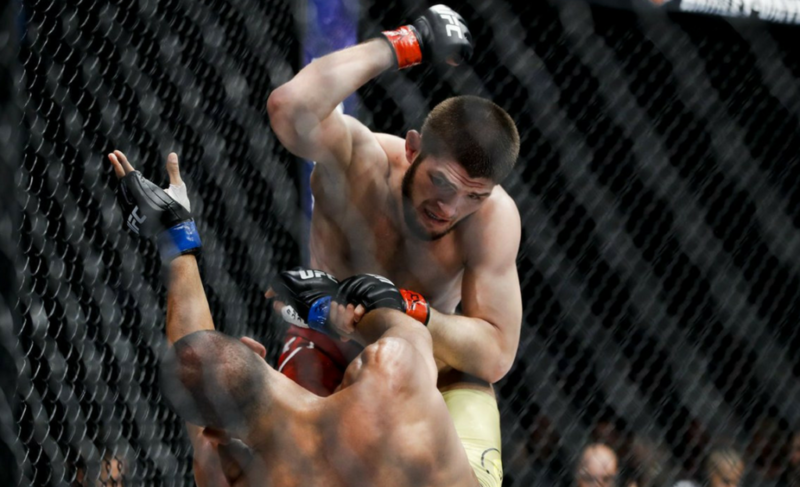 Tate’s only strengths were bullish toughness and a relentless double leg takedown, but this was easily countered by Rousey’s judo. It would be incorrect to say the UFC was spoon-feeding Rousey challengers because there weren’t any quality contenders to begin with. At 5′ 8″ with a 70″ reach, Holm was a giant at bantamweight. Prior to entering the UFC, Holm had won all but one of her fights by knockout. Despite being a world champion boxer, Holm had finished five opponents by kicks. She moved beautifully and understood how to set up her finishing shots. Her performance in the UFC seemed indicative of her cautiousness rather than her skill level. Even the small minority of fans who predicted Holm would make a fight of it were shocked by what happened next. At range, Holm pasted Rousey with stiff left crosses and kicks to the obliques. If Rousey got into brawling range, she’d catch her with a check hook and circle away. The one time Rousey managed to ground her, Holm was so strong that she was able to tear free of the armbar and got back to her feet. Eventually, she compromised Rousey’s already porous defense badly enough that she decked her with a head kick. 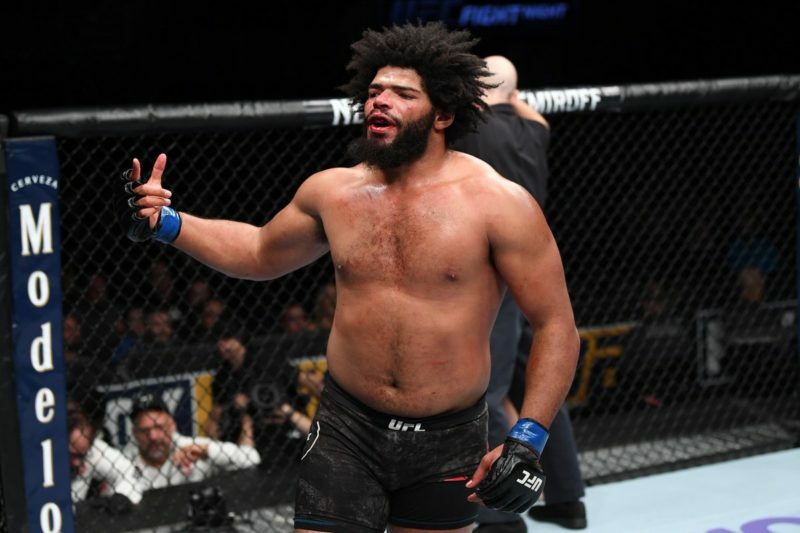 It wasn’t the upset that many people make it out to be, but it was a perfect performance against the UFC’s premier star. It’s like getting called onstage by David Blaine and interrupting the performance to correctly guess his social security number. 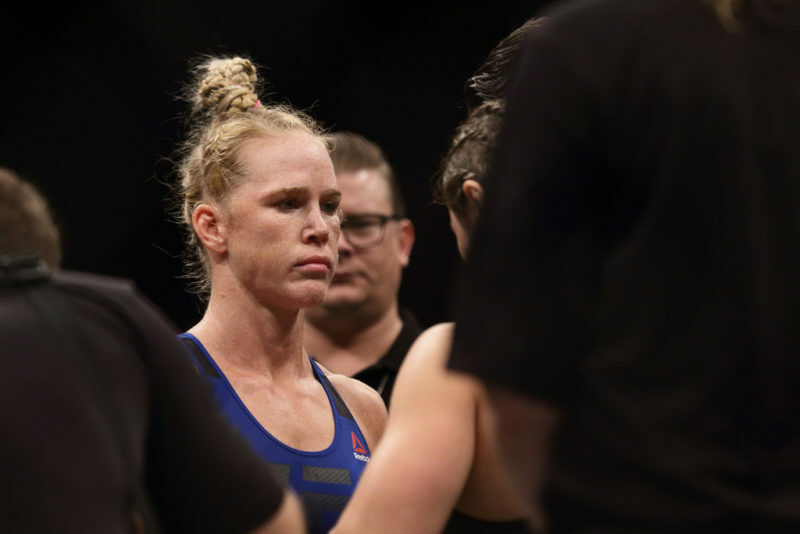 Overnight, Holm’s star had soared higher than the UFC’s biggest draw. And then, after the greatest performance in WMMA history, Holm dropped three straight fights. The loss to Tate was surprising but forgivable. After all, Holm had won every round until Tate gutted out a takedown and secured the choke in the fifth. 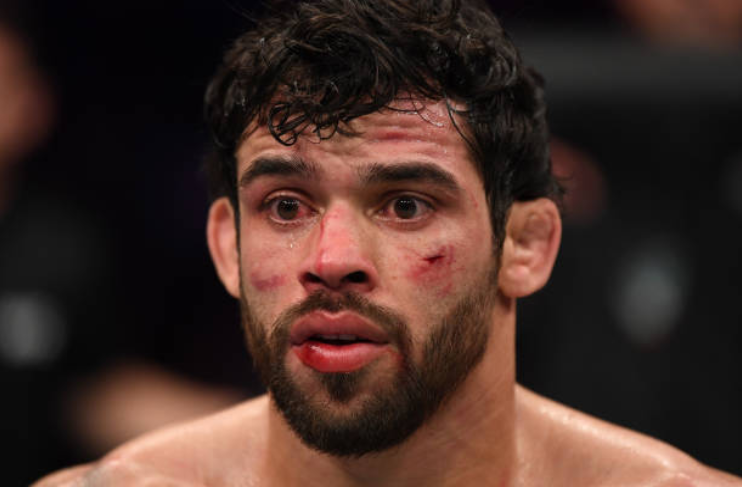 People (justifiably) complimented Tate instead of ragging on Holm. 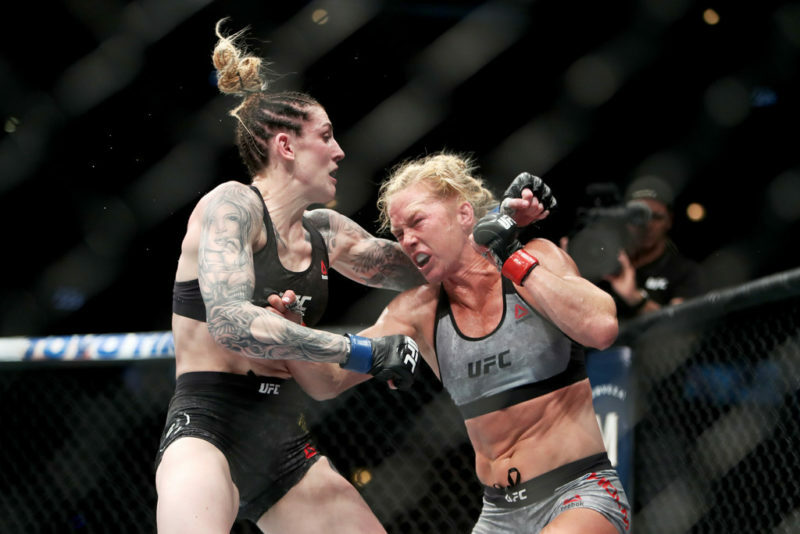 But more consecutive losses to Valentina Shevchenko and Germaine de Randamie revealed a flaw that has plagued legendary counter fighters throughout history: Holm couldn’t lead. 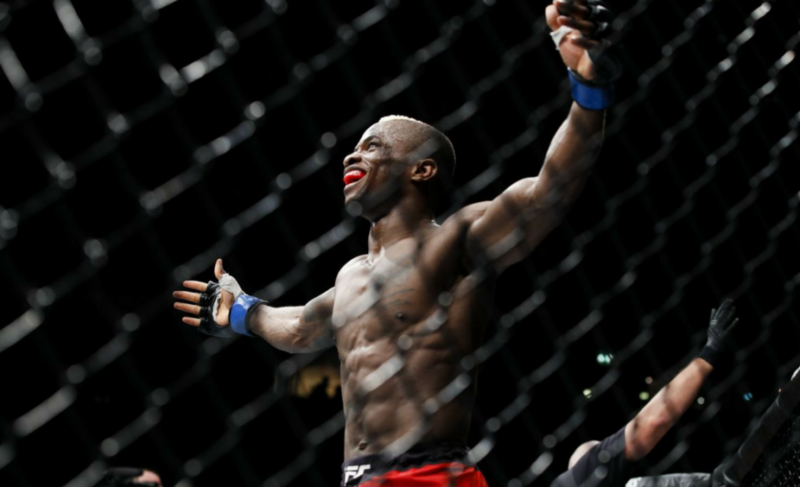 Another, weirder flaw showed itself during the de Randamie fighter: a war cry. Perhaps out of habit or maybe just frustration, Holm literally shouts before each strike in a combination. This is great in Street Fighter but terrible in an actual combat sport. Even if Holm attempted a combination other than a 1-2 kick, de Randamie could still time her counters to Holm’s voice. 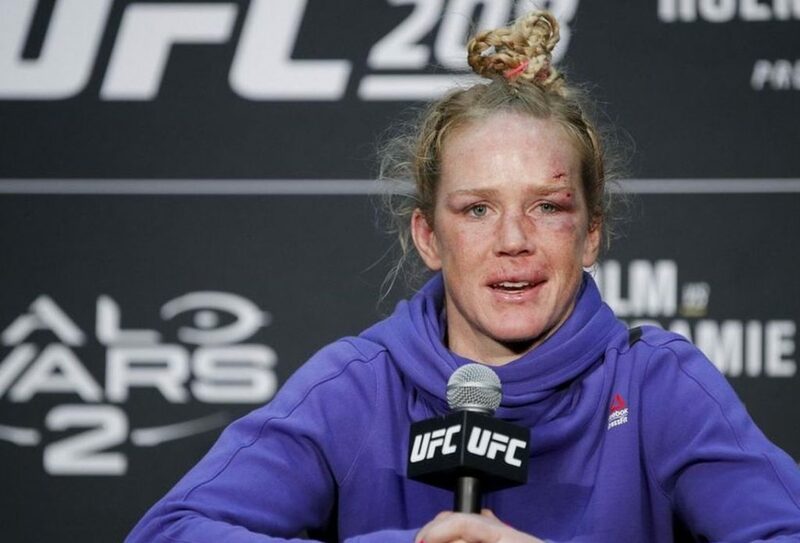 I’m not saying Stevie Wonder could beat her in a fight, but he could probably dodge most of Holm’s combinations. Because the WMMA featherweight division is so barren, Holm is in a unique position. Despite being 1-3 in her last four with her only win being against an overrated Bethe Correia, Holm finds herself getting another title shot. Once again, she’ll face off against the consensus best WMMA fighter in the world and once again she’ll come in as the underdog. If she wins, all of her struggles will be erased. No one cares that you lost three straight after winning the title when you’re the only WMMA fighter to win a title in two divisions. Winning cures everything, and Holm has the sickness.